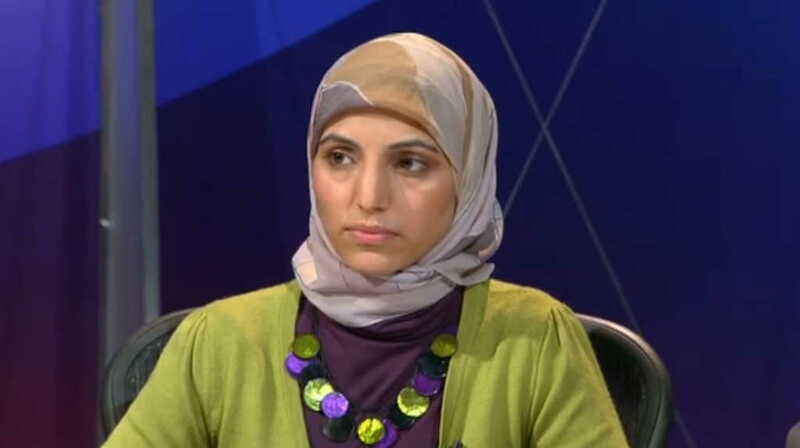 Salma Yaqoob defends British soldiers and innocent Afghan civilians against a war which has been irresponsibly and badly managed, left our troops with little protection, security and safety; and seems to have no end in sight. Salma makes reference to Birmingham’s soldiers and their families, highlighting the concerns of wounded soldiers recovering at Selly Oak Hospital in her home city. “I’m from Birmingham, we have Selly Oak Hospital there and I’m not surprised that more than half of the soldiers, when Gordon Brown visited in September, simply shut their curtains because they feel so let down and I think it’s an absolute disgrace that the Ministry of Defence is actually pursuing wounded soldiers in court to get back compensation; so the idea that you support them and value them is absolute nonsense. broadcast from Wootton Bassett. The market town in Wiltshire has come into national focus for honouring those who have given their lives in the service of their country. 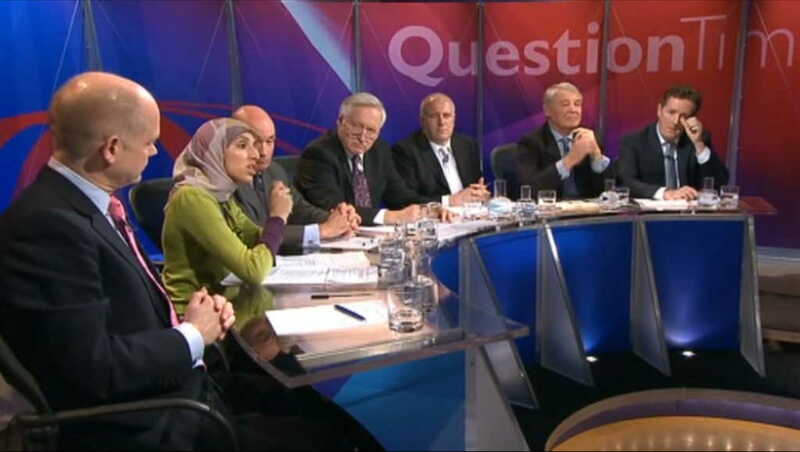 The panel included the former head of the British Army General Sir Richard Dannatt, the Minister of State for the Armed Forces Bill Rammall MP, the shadow foreign secretary William Hague MP, the former Liberal Democrat leader Lord Ashdown, the former newspaper editor Piers Morgan and the Respect Party’s Salma Yaqoob. Watch the complete show here on BBC iPlayer. Birmingham city councillor Salma Yaqoob, joined by Adrian Goldberg, Khalid Mahmood MP, John Hemming MP, Cllr Judy Foster, Chief Insp Adrian Atherley and Apache Indian, calls on the West Midlands Police to ban a march by far-right groups planned for September; following the violence erupted amidst an EDL – Casuals United demonstration on 8th August in the city. Venue: Birmingham Council House, Victoria Square, Birmingham, B1. City councillor for Birmingham Sparkbrook – Salma Yaqoob – appears on Brit Asia TV’s flagship socio-political community programme Broken Silence, presented by Sanyya Gardez. This week’s show addresses ‘Drugs and Gangs’. 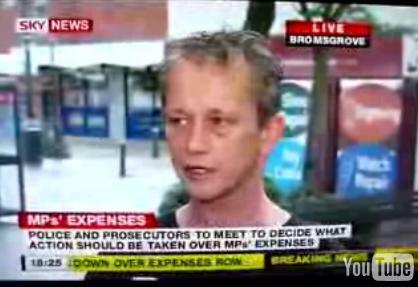 Footage copyright and courtesy of Brit Asia TV Ltd.
West Midlands Respect activist Mark Anthony France and local pub landlord Gianni D’Anaello speak to Sky News in Bromsgrove about the MP’s expenses scandal, following the furore surrounding the expenses of their local Member of Parliament. Worcestershire MP Julie Kirkbride is currently at the centre of a fresh expenses scandal which has reached right into the heart of the Conservative Party. Ms Kirkbride had registered a property in her Bromsgrove constituency as her second home, allowing her to claim expenses on it, while her husband Andrew MacKay – the MP for Bracknell in Berkshire – had registered a property in London as his second home, allowing him to claim expenses on that one. Mr MacKay quit as Mr Cameron’s policy adviser after it emerged the pair were both claiming for second homes despite sharing properties. The above interview was broadcast on Sky News on 16th May 2009. City councillor for Birmingham Sparkbrook Salma Yaqoob attends the national March for Jobs – organised by Unite and held in Birmingham – and explains the importance of supporting the call for British jobs to be saved in the midst of a recession. Venue: March from Highfield Road (B15) to Centenary Square, Central Birmingham.